Smart appliances: Do white goods cos want to make it easy or make us lazy? Your refrigerator will walk to you, the ceiling fan will adjust its temperature depending on the surrounding and the washing machine will wash and fold clothes. Powered by artificial intelligence, appliances are now turning smarter to the point that individuals wouldn’t even have to get up from their seat to operate the machine. Take the humble ceiling fan for instance. Havells will launch an Internet-of-Things (IoT) based fan that is controlled with a remote, mobile app and WiFi. Based on the temperature and humidity in the room, the fan will adjust the speed. So there is no need to keep walking up at night to change the fan speed. Similarly, products have been designed to ensure that you get multiple features in the same product. Take the Samsung refrigerator for instance. 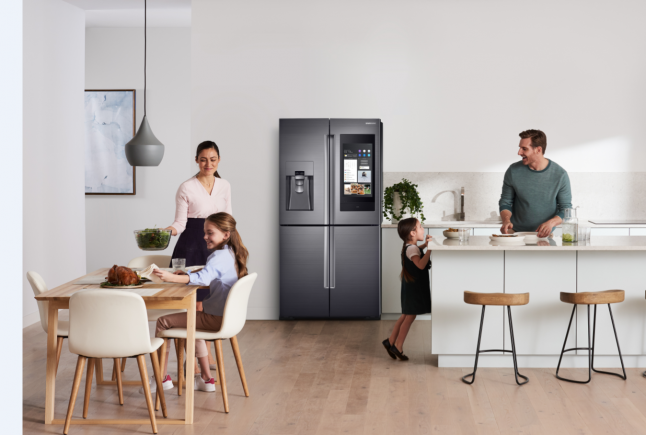 The Family Hub series of refrigerators have a built-in-screen whiteboard, memo and photo album functions, which transform the touchscreen display into a digital bulletin board, wherein family members can share photos, update calendars, hand-write notes to anyone, and even send posts. With Bixby (Samsung’s virtual assistant), the Family Hub can also recognise individual family members’ voices and provide personalised information based on their individual preferences. Users can access songs through the web browser and live radio app, and mirror their Samsung Smart TV on the built-in-display of the refrigerator. They can also stream content from their smartphones on the display. So while having dinner, you need not have to take the effort to get up from the dining table to watch your favourite show. For the working population which spends almost 12-14 hours (including commute), doing household chores means cutting down more time for lazing around or spending time with family. Panasonic has now showcased a washing machine that will not only wash your clothes, it will fold it as well. Also, they have launched a refrigerator that will run to you at one command. No more walking to the kitchen for the late-night hunger pangs. When you step into the house, why would you spend 10 seconds in switching on the air-conditioner or even the lights? Syska’s smart home solutions will detect your motion and keep your house ready for you to step in, after a long day at work. Costs, of course, are expected to be prohibitive for these products. Customers willing to shell out a few lakh rupees can expect utmost luxury. With more number of youngsters contracting lifestyle illnesses due to their sedentary behaviour, these appliances are only out to make individuals lazier.